Please call our box office at 204-989-0888 or go to our Season & Ticket section of our website. There you will find all the latest information regarding ticket prices, specials and group discounts. Do I need to select my date and seats right away? Nope! We’re pleased to offer Flex tickets to all of our shows, allowing you to take advantage of special offers and discounts while providing the ticketholder with the flexibility to choose the show, date, and seats at their later convenience. Great for gifts! Tickets can be picked up at the Rainbow Stage box office in the Pantages Playhouse Building, 180 Market Ave. Winnipeg, MB. Office hours are 9:00am to 5:00pm, Monday to Friday. Alternatively, tickets can be picked up at Rainbow Stage in Kildonan Park at 2021 Main Street two hours before the performance time at the will call window. I’ve never bought tickets online, how do I buy tickets or make a donation? On the Rainbow Stage website, click on the buy tickets button. If you already have an account, enter your Email ID and password, and if you don’t click New Patron and make your profile. For individual tickets, click on the tickets tab and select the date you would like to attend. If you would like to buy a subscription, click on the subscription tab and follow the directions. For donations just click the donation tab and enter the amount you’d like to donate. Please confirm your address is correct, as a donation receipt will be coming in the mail. Make sure to confirm all tickets and donation amounts before checking out, all sales are final. Tickets can be mailed for a $2.00 per requested envelope fee, you can pick up your tickets at the Rainbow Stage Ticket Office during office hours, or you can pick up your tickets on the date of your performance up to two hours before the performance starts at the stage. The number to call to buy tickets is 204-989-0888, or toll free, 1-888-989-0888. The ticket office is located at 180 Market Avenue in the Pantages Playhouse and hours are 9 am-5 pm, Monday through Friday. During show runs the box office is also open inside Kildonana Park two hours before the performance starts. The bar codes on the confirmation email after buying tickets online are your tickets. Print this off and this will be accepted as your ticket at the door. If you loose your email, you can login on our website, and the website automatically takes you to the “Home” tab, click “Tickets for Upcoming Performances” and click “Print All Future Tickets”. Can I bring children? Do I need to buy a ticket for my baby? Rainbow Stage has a no babes in arms policy, which means that a child must be able to sit in their own seat for the duration of the show in order to attend. All persons require a ticket to attend and that includes a child. We welcome guests of all ages, but acknowledge very young children can be disruptive to the performance, the actors and to other patrons. Children who attend must be able to sit quietly throughout the performance. Children unable to do so, along with their accompanying adult will be asked by an usher to leave the auditorium or may be asked not to attend the performance. Please use discretion when choosing to bring a child to any performance. Children under the age of 3 are strongly discouraged from attending. Every patron, regardless of age, requires a ticket to attend. I’ve lost my ticket. What do I do? Tickets are always saved on Rainbow Stage’s ticketing system. If you lose your ticket, please phone the office, and after verification you ticket can be re-printed. You may pick up your ticket or wait for your show date to pick them up at the theatre. I lost something at Rainbow stage how do I get it back? If you have lost an item at the stage you can email us your lost item question or go to the front of house office at the stage in the park to retrieve the lost item box office windows opens 2 hours prior to any performance and the front of house manager is there until close of performance each night.Or if you can not make it down to the stage again throughout the season all lost and found items are relocated to our administration offices come the fall for a short period of time. Any items not collected are either disposed off or donated to an appropriate organization. 204- 989-5261 x102 for more information. We take Visa, Mastercard, cash and debit. Cash and debit are only accepted in person at the ticket office. At this time we do not accept PrePaid or Debit VISA/MasterCard over the phone or online. Can you accommodate wheelchairs/walkers and theatregoers with mobility issues? Absolutely! Rainbow Stage is fully accessible for wheelchair patrons. Please notify the ticket office staff of your needs when ordering tickets. Wheelchair seats are not available online, they can only be booked by phone or in person. For more information or for particular requests or requirements, please contact our ticket office at 204-989-0888. If I’m sitting at the back of the theatre, will I be able to see? The reality is there isn’t a “bad” seat in the house. Of course, the closer you sit, the more detail you’ll be able to see. The seating is arranged so that you will be able to see the whole stage no matter how far back you are sitting. If it rains am I going to get wet? Although it is an open air theatre, the entire seating area is covered by a roof. It’s best to check the weather before coming to the theatre and dress appropriately. Every show run time is slightly different, but Rainbow Stage’s shows average at about 2.5 hours including a 20 minute intermission. Performances take place at Rainbow Stage in Kildonan Park at 2021 Main Street. Administration offices are located in the Pantages Playhouse at 180 Market Avenue. Yes, Rainbow Stage provides a large parking lot at the north side of the theatre. When you drive towards the theatre, you will pass the entrance to the theatre on the left and then come to the parking lot. There will be parking attendants who will guide you in and help you park as well as guide you out after the show. Parking is free in Kildonan Park, however, please be aware that parking in the lot is stacked and you may not be able to leave during the performance. What time should I be at the theatre? If you are picking up your tickets at the box office, you should attempt to arrive at least 30 minutes prior to the doors opening in order to avoid long line-ups. Patrons attending an evening performance are recommended to arrive at the theatre approximately 10 minutes prior to doors opening. 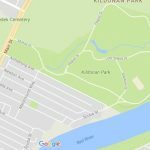 Patrons attending a matinee performance should expect to encounter heavy traffic in and around Kildonan Park as the weekends are full of various activities taking place at Kildonan Park. Patrons should always keep in mind that Kildonan Park is City of Winnipeg property and with a variety of family fun activities than occur from day to day – give yourself ample time to enter the park and find parking. Although Rainbow Stage has a parking lot – patrons who hope to avoid congestion when arriving and leaving are encouraged to park on a side street and walk to the theatre. We have a handicapped drop off area on the south side of the building. As you drive towards the theatre, watch for the signs directing you to the drop off area. You can then drop the person off (and if necessary help them to their seat), and then proceed to the parking lot on the north side of the building. Let the parking attendants know that you need a handicapped parking spot, and they will direct you to the appropriate space so that you can easily get back to the drop off area to pick your party after the show. Can I book a taxi to pick me up after the show ends? Yes. After the show taxi’s need to come through the Scotia Avenue entrance to the park and can pick you up by the south exit of the stage. What time does the box office open at the park? During the run of the show, the box office at the park will be open two hours prior to the performance. Patrons may come to the box office at the park in the evening to purchase tickets for any performance. However, tickets are not guaranteed to be available. We suggest that patrons buying for performances other than the current night come to the box office after the show has started to avoid the crowds gathering for the show. Latecomers will be seated at the discretion of the Front of House staff. In the case of a reserved house, latecomers forgo their right to their reserved seat and will be seated at the back of the auditorium or in the most easily accessible seats to avoid disturbing the actors and other audience members. Latecomers may move to their assigned seats during intermission. Please allow for ample time to park, and remember that there is often a line-up at the box office in the hour prior to show time. Due to Union regulations, recording during the show of any kind – taking pictures, using video camera, camera phone, etc. is STRICTLY PROHIBITED. If you do decide to take pictures during the show, your camera will be confiscated. Not only is it disruptive to the actors on stage, but it is also disruptive to the other patrons. Professional production photos can be found in all of Rainbow Stage’s show programs. Is there food at the theatre? Yes, there is a concession stand at the theatre. So you may purchase snacks and drinks prior to the show as well as at intermission. There is also beer & wine available for purchase. I purchased tickets for the show, but I can’t go on that day anymore. What do I do? Refunds will not be given on tickets purchased. Exchanges may be made up to 48 hours prior to the start of the original performance purchased for a $5.00 per ticket charge. If the exchange is made less than 48 hours prior to the original performance date, there will be a charge of $10.00 per ticket. All ticket exchanges must be done in person at 200-180 Market Ave. Season Ticket Holders will received free exchanges if done at least 48 prior to the original performance date. I can’t go to the show anymore and I can’t go to the show another day. What do I do? Unfortunately, tickets to the shows are non-refundable. You may find someone else to use your tickets or you may get a tax deductible receipt from Rainbow Stage for the ticket amount if you wish to donate the ticket cost to Rainbow Stage if the tickets are not being used. This has to be done at least 48 hours before the performance. How can I support Rainbow Stage? There are many ways to support Rainbow Stage. Attendance at the shows, attendance at fundraising events, volunteerism, donating and joining Facebook are some of the ways that you can become involved as part of the Rainbow Family. What does “not for profit” mean? If you have any addition questions or concerns, please email us or call our office at 204-989-5261.